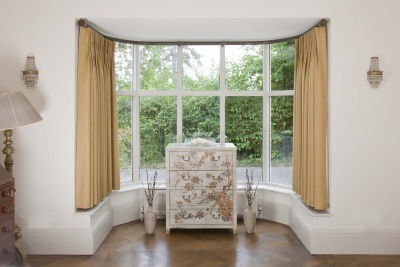 We are aware that before buying your new curtain track you are likely to research and visit many other sites offering comparable and cheaper alternatives to Silent Gliss. So why should you buy Silent Gliss products over other manufacturers? Silent Gliss is the leading global supplier of curtain tracks and blinds and is committed to providing the very best in terms of quality, design, technology and individuality. 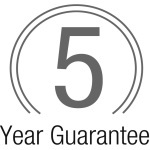 Silent Gliss guarantee smooth, trouble-free products which regularly exceed customers' expectations. Silent Gliss products can be found in private homes as well as large hotels such as the Burj Al Arab in Dubai, in prestigious locations such as the Eiffel Tower or even in luxurious cruise ships such as the Queen Mary II. We are family business with a an established trading history of over 20 years. We are based in Cardiff and have worked closely with Silent Gliss to develop a robust relationship over many years. Our continued affiliation with Silent Gliss is not only due to their proven track record of contemporary design at the very highest level of quality and style but also because each system is made to measure, giving you the added assurance that your order will meet your exact requirements. Our highly motivated staff encompasses a sales/ordering team, design/specification and estimating team, curtain make-up workroom, furnishings installation technicians backed up by a highly organised administration team and sound financial support. Our staff have a wealth of knowledge and experience in the curtain track industry and can assist with any questions you may have. We understand that purchasing a made to measure track that is non-returnable can be a bit daunting but we should like to reassure you that we are here to help you to ensure your finished track will fit perfectly. We share our premises in Cardiff with our sister company Lloyds Contracts Ltd, a soft furnishings and flooring contractor offering an extensive range of soft furnishings and flooring services to commercial clients across a variety of sectors. Lloyds Contracts supply and install all types of commercial blinds, curtains and flooring. Their service offering extends from initial design/specification through to the completed installation. The success story of Silent Gliss products began at the beginning of 1950's; with the ingenious idea of using high grade nylon gliders and precision engineered siliconised aluminium tracks to make the world's first silent curtain tracks. This initial invention was turned into a business and many other ideas followed. 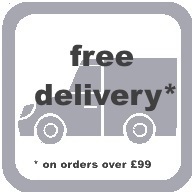 Please contact us by email or call 029 2036 1933 is you need assistance or for a no obligation quote for any Silent Gliss product that is not available on our site.